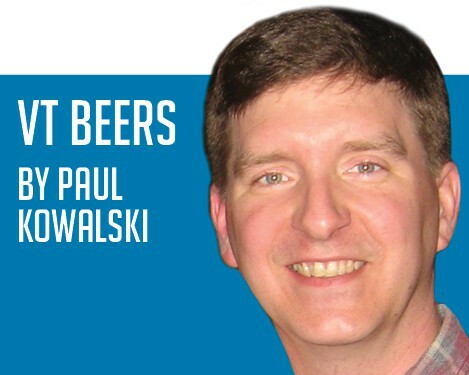 Editor’s note: This is the inaugural edition of a bi-weekly Mountain Times column, in which writer Paul Kowalski chats with members of our region’s beer and brewing community about Vermont-made beers. Every two weeks, he’ll visit with a different member of the craft beer community who will share with us what they see as an outstanding example of Vermont-brewed beer from a brewery other than their own. The guest will come from a brewery in either Rutland County or Windsor County, and the beer from anywhere within Vermont’s borders. Feel free to sample alongside him! As George R.R. Martin wrote in his “A Song of Ice and Fire” books, “To go forward you must go back.” To begin my series of “Talks and Tastings” with brewers and beer, I went back to where my journey with beer reached adulthood… Long Trail Brewing Company. It was there in 1992 that I went to work as the first non-production employee of a small company then-called The Mountain Brewers. Hired as marketing coordinator, my presence brought the roster to eight employees. My non-production label didn’t last long, as I was quickly pressed into duty on the bottling line, loading and unloading trucks, helping in the brewhouse and fermentation room, and eventually brewing. Shortly after I was hired, and before all the cross-training, I was asked to sweep the brewhouse floor. Proud young fool that I was, I said it was not an efficient use of my time. Big mistake. The next day, to prove that I wanted to keep my job, I was asked to scrub the entire fermentation room floor with the equivalent of a toothbrush. Later, they let me clean the inside of the kettle. I stayed for four years, and worked in nearly every aspect of the operation. When I first arrived at The Mountain Brewers, Matt Quinlan and Dave Hartmann were already there, having been hired just a few months before me. Barring a hiatus in each case — several months for Quinlan, and several years for Hartmann — they’re both back there now, and are in the top level of the organization, now with 99 employees. Dave Hartmann, the brewmaster, was a surprise but welcome guest in our conversation. Matt Quinlan made the selection for this column’s tasting. Brewery: 14th Star Brewing Co., St. Albans, Vt. The 60-second beer tasting primer: Each style of beer is defined by a set of characteristics, such as color, aroma, carbonation level, the amount of alcohol it contains, and numerous others. When a brewer sets out to brew a particular style of beer, they decide how to manipulate the variables in the beer’s ingredients and process to achieve the desired outcome. Grains, mostly barley, but also others like wheat, oats and rye, are the prime determinants of a beer’s color, but also contribute to aroma, flavor, mouthfeel, head (when it’s poured) and strength. Hops, flowers that grow on a vine, are used for bittering, flavoring and aroma. Alcoholic strength is generally expressed as a percentage of alcohol by volume (ABV), and bitterness is expressed as a numerical value (of bitter acid parts per million) of International Bittering Units (IBU). When tasting a beer, we try to see where that beer fits in terms of color, clarity, carbonation, head, aroma, flavor, mouthfeel and finish. Is it consistent with accepted characteristics of the intended style? But enough nitty-gritty for now. You don’t have to be a beer nerd to know if you like what you’re drinking, or to follow along with this column. Let’s taste some beer! The Maple Breakfast Stout from 14th Start Brewing Company is packaged into 16-oz. cans. Matt Quinlan decanted it into snifters, and Dave Hartmann joined us in a lovely spot overlooking the Ottauquechee River for the tasting. Consider temperature when you’re drinking a beer. Cold can be refreshing but cold temps tend to mask flavors and aroma in a beer. That was the case here, as neither Quinlan nor Hartmann could discern much maple in the aroma, but as it sat in the glass for a few minutes, we noticed that the maple aroma and flavor both came out of hiding. Its color is an opaque black with reddish tints seen at the edges where the light hit it. “It’s chocolately-roasty, but not overly roasted malt,” said brewmaster Hartmann after his first sip. “Malt” often refers to malted barley, of which there are many varieties. The process of malting involves moistening the grain to “wake it up” and get it to sprout just a tiny, tiny bit. This activates enzymes which begin the process of converting starches into sugars that will be needed to feed the yeast later in the process and also contribute to the beer’s flavor. The grain is then kilned to halt that process, and is often roasted to various degrees to confer a specific color and flavor to the end product. “It’s got a really nice, very silky mouthfeel,” Hartmann added. Sip it and see if you agree! Cheers!